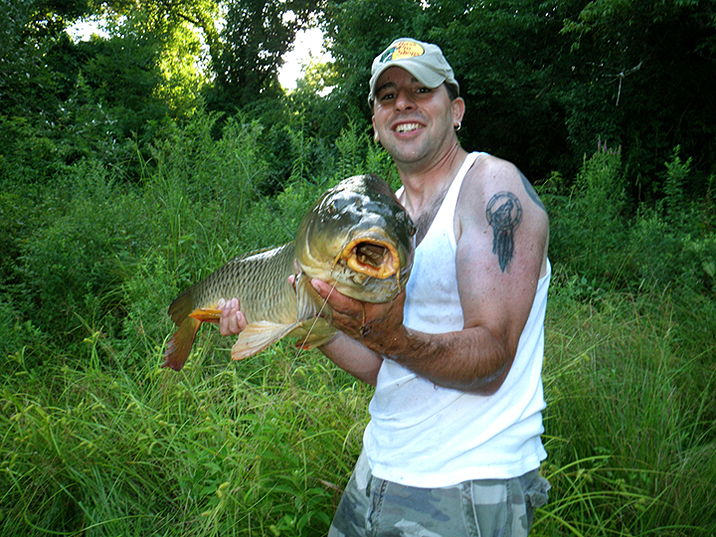 Some MA, Common and Mirrored Carp. 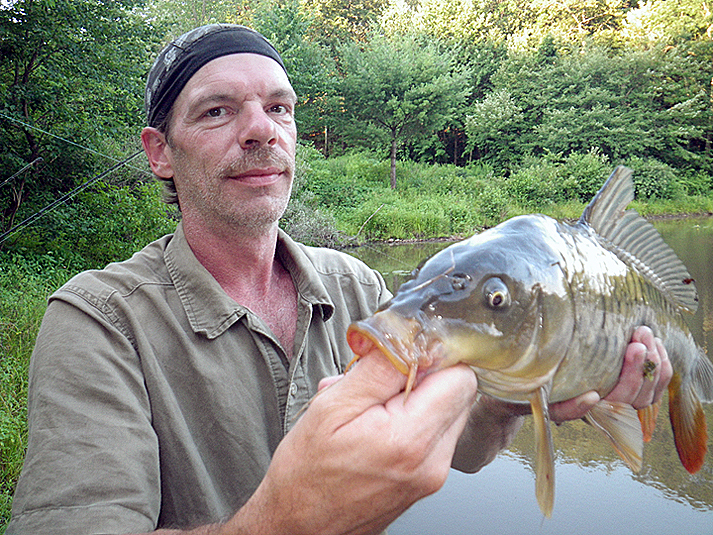 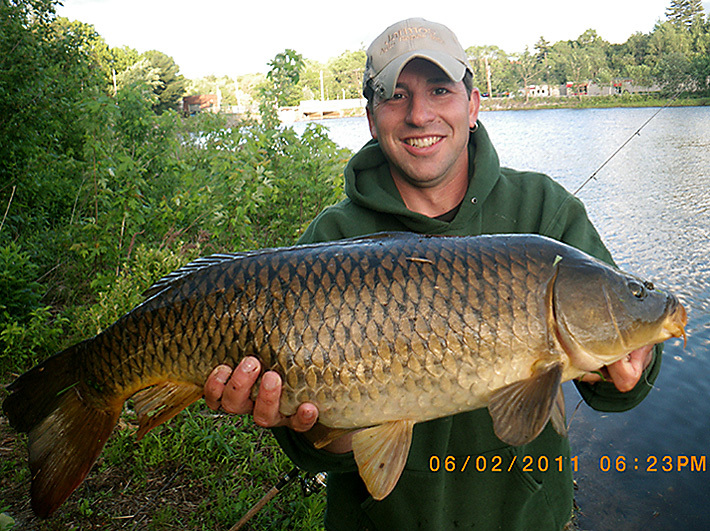 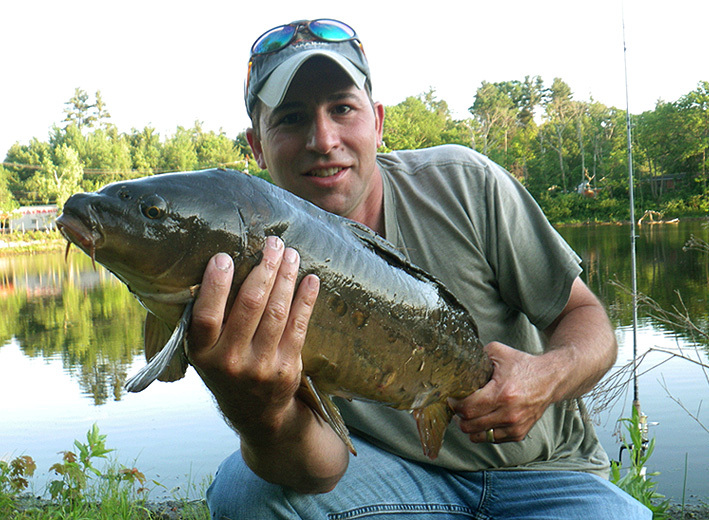 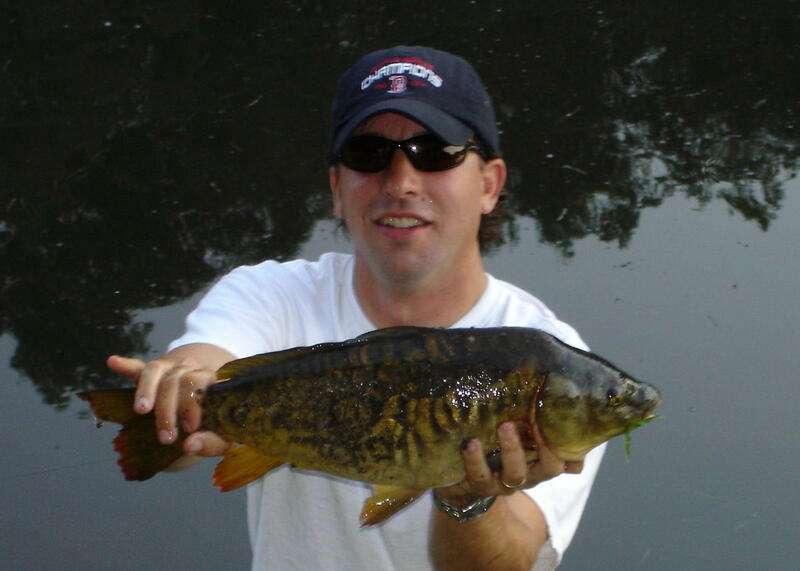 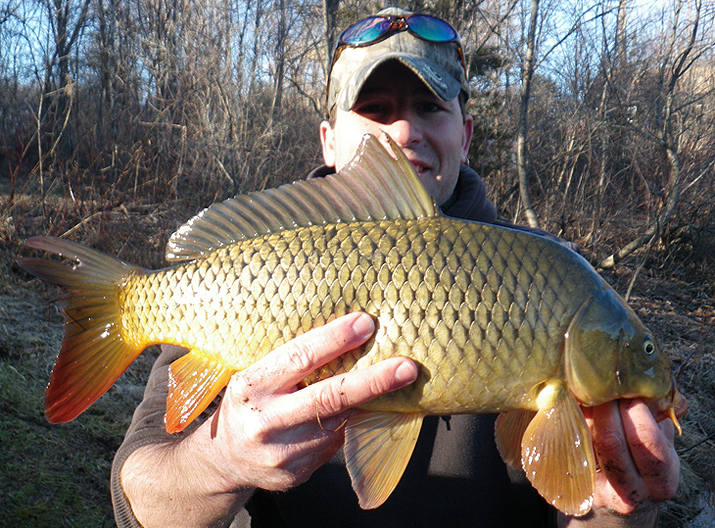 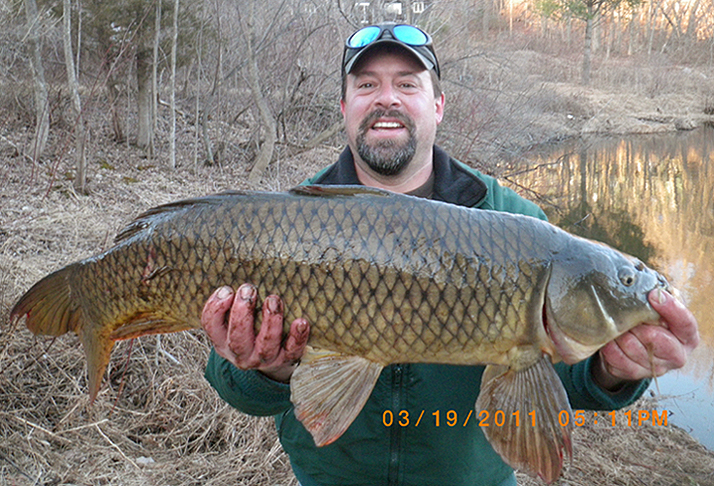 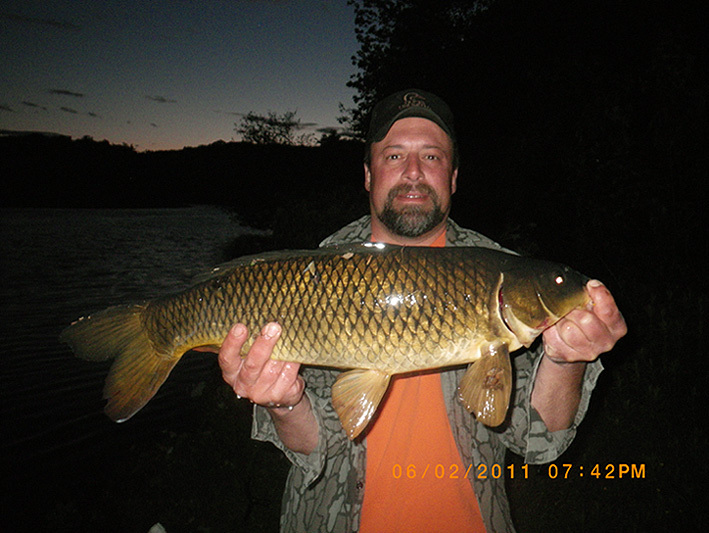 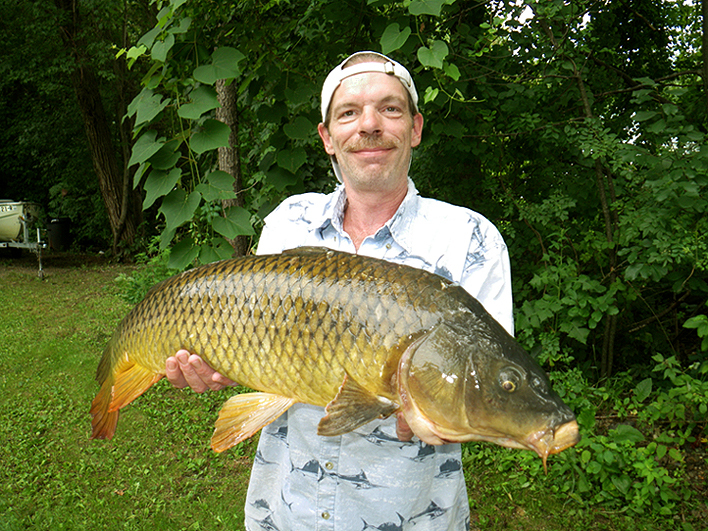 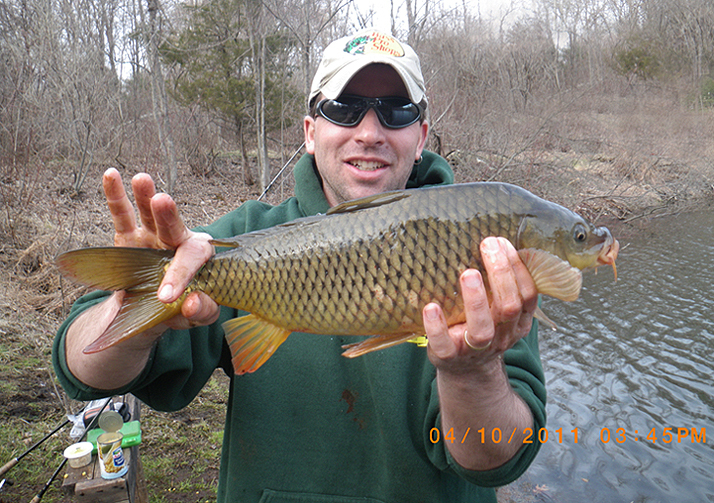 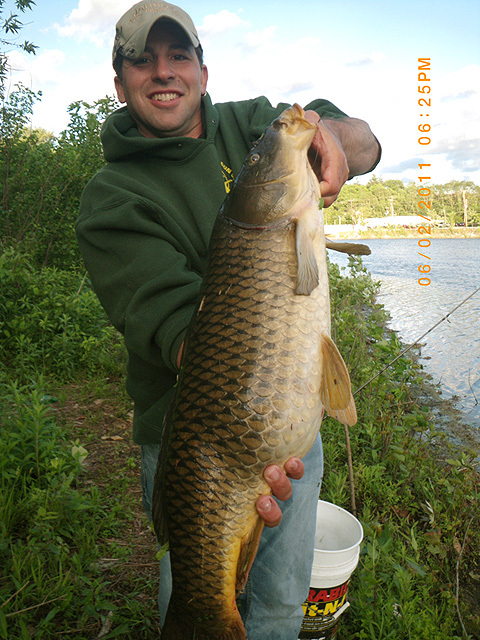 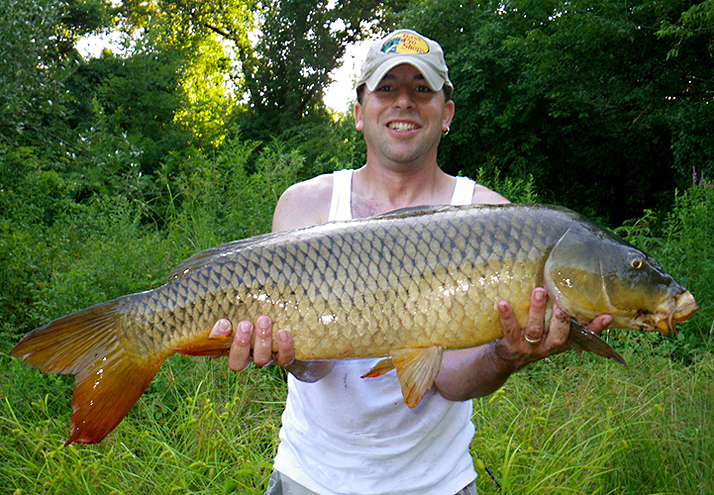 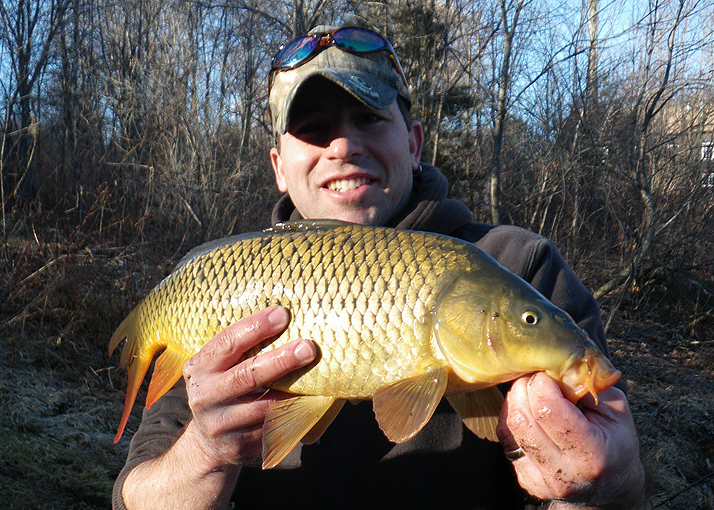 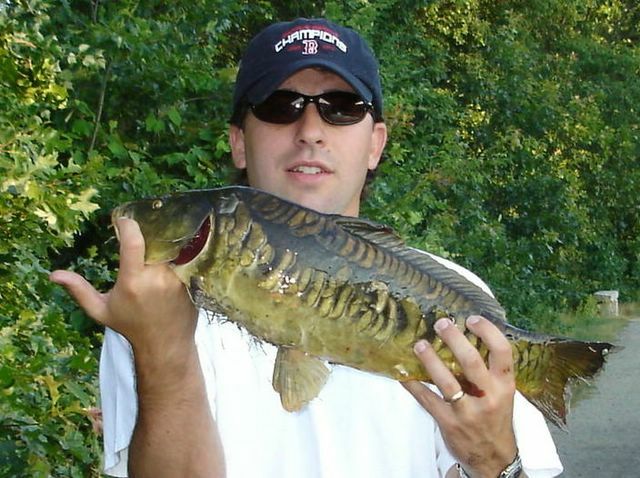 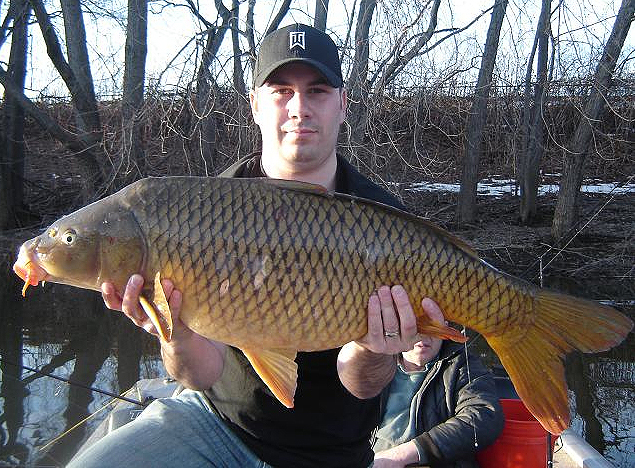 Carp are a fun species to fish for. 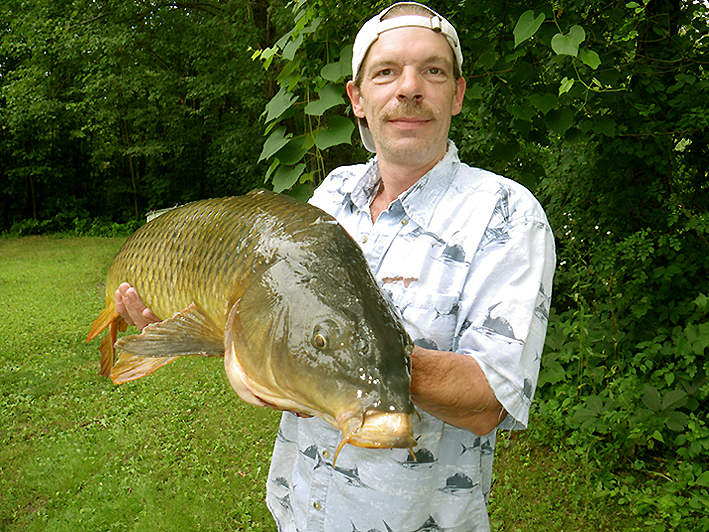 I find them to be extremely spooky (especially the big ones). 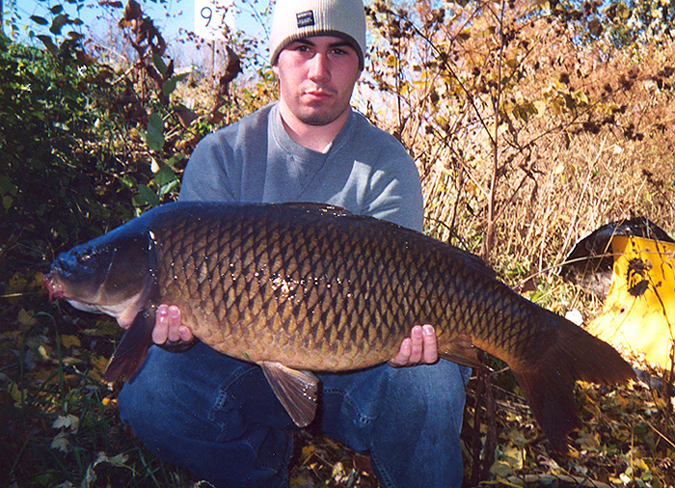 A combination of use of cover, dark clothes and staying still helped me land more fish. 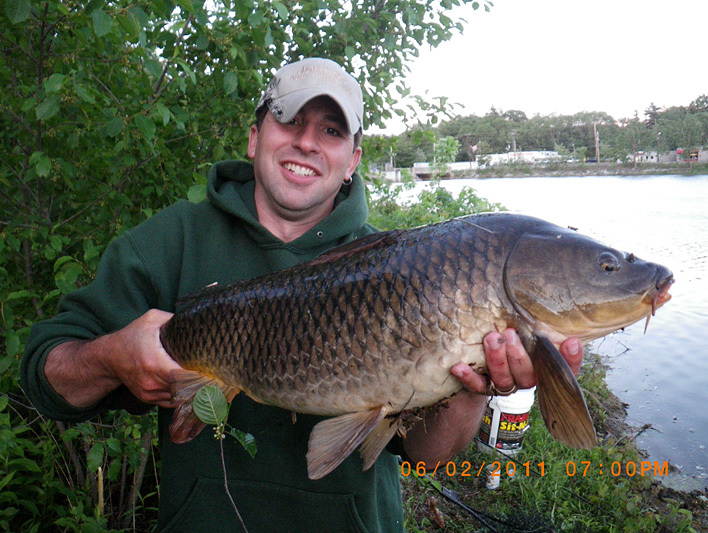 After a good hook set I find they scream some drag and put a good fight on but then tire easy. 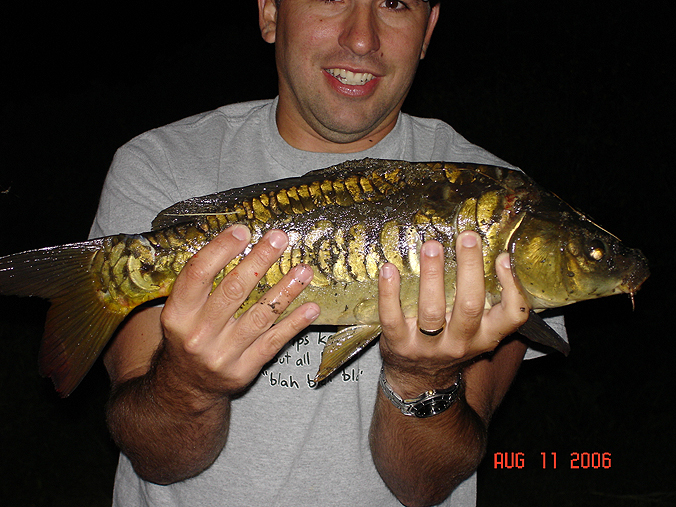 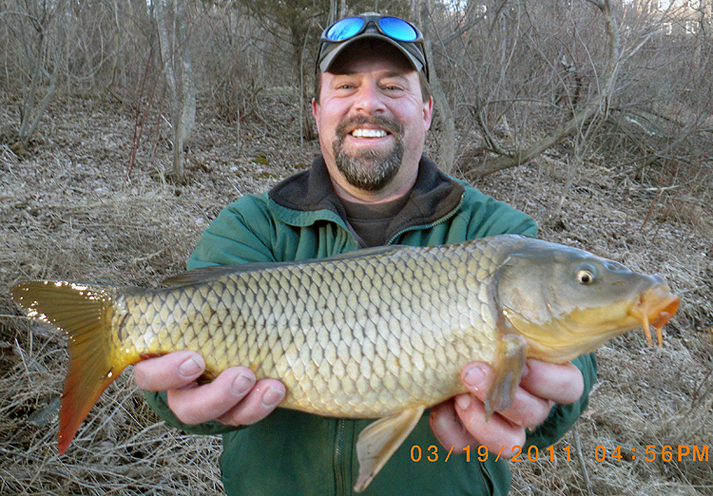 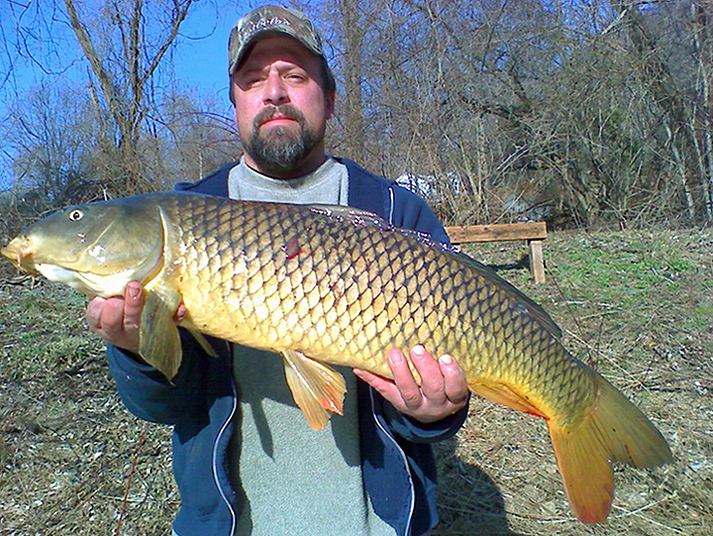 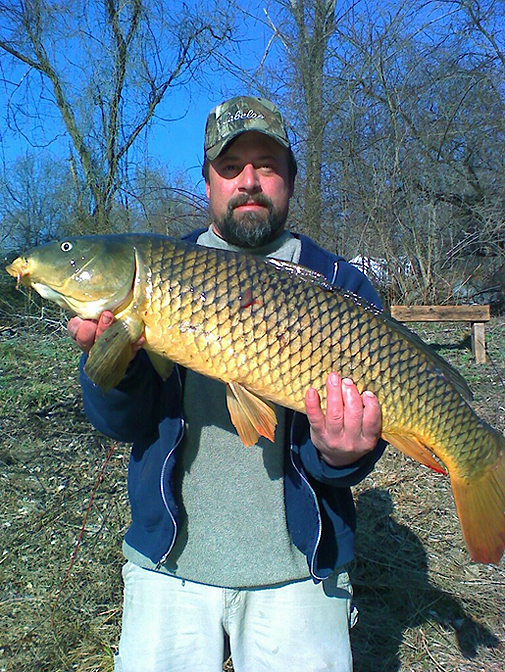 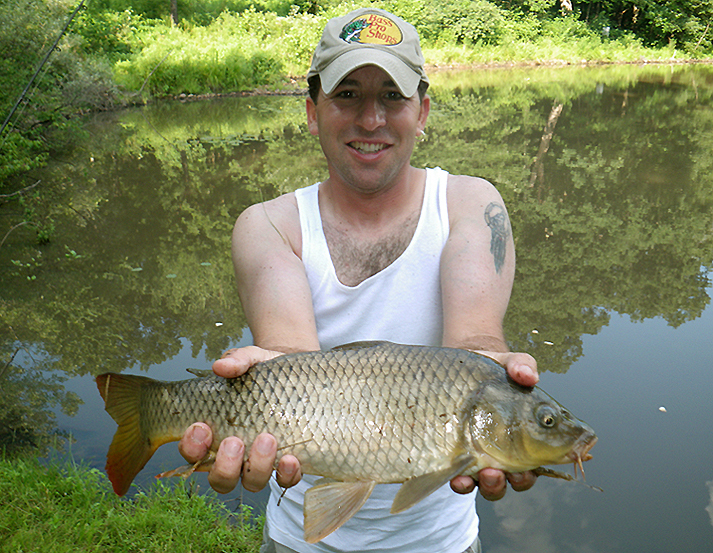 Floating bread or using corn can be extremely effective and makes for some cheap and easy to find bait. 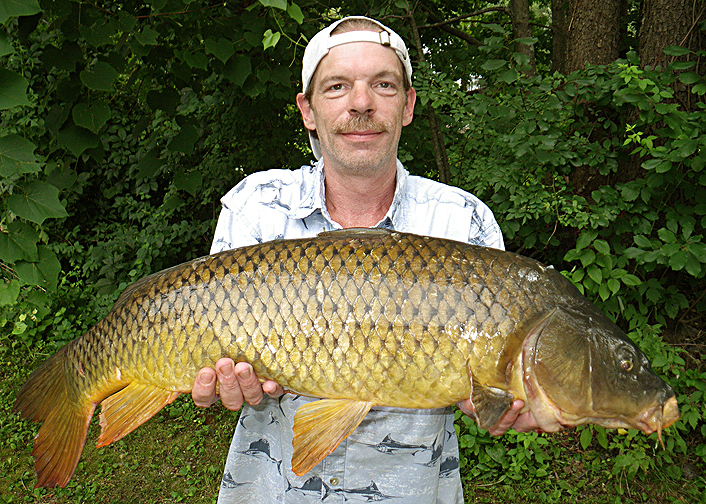 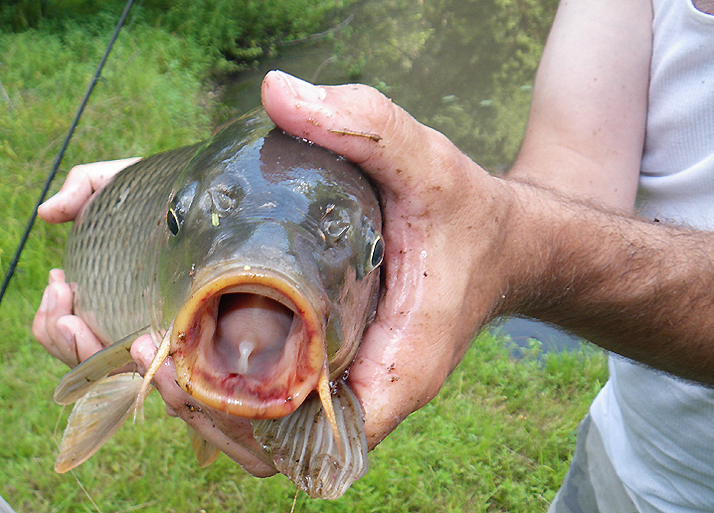 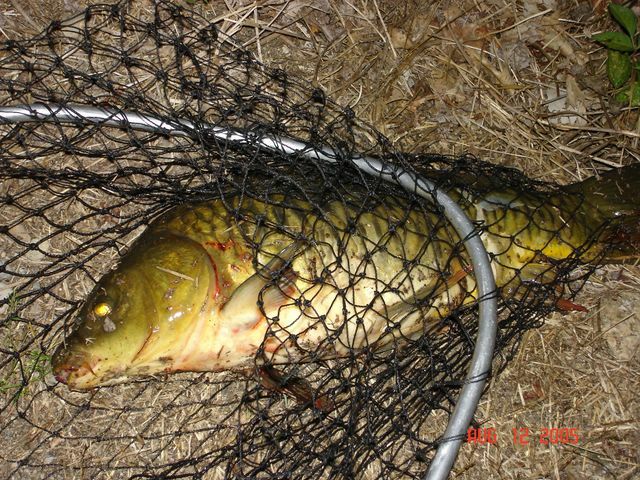 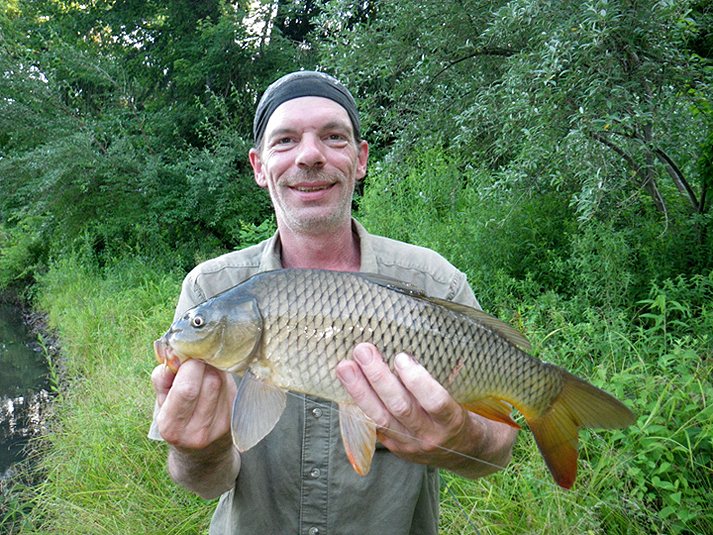 The carp is an extremely popular game fish in Europe and not so popular here but there are some anglers who specifically and primarily target this species. 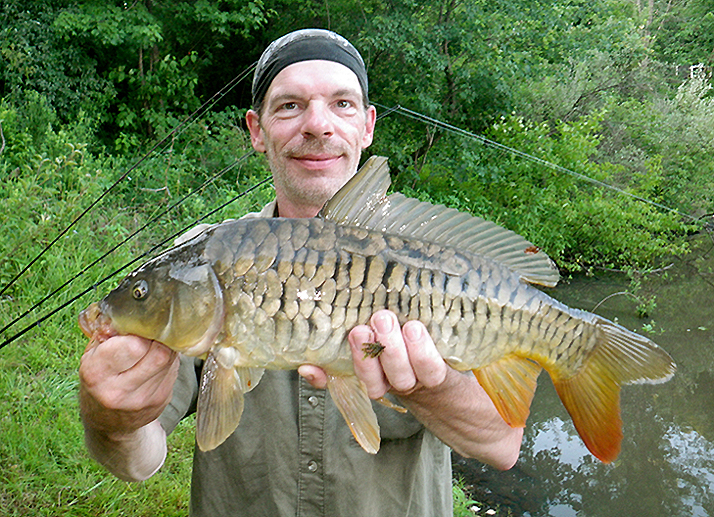 Worth a try if your looking to try and catch a large fish or just looking for something different to fish for. 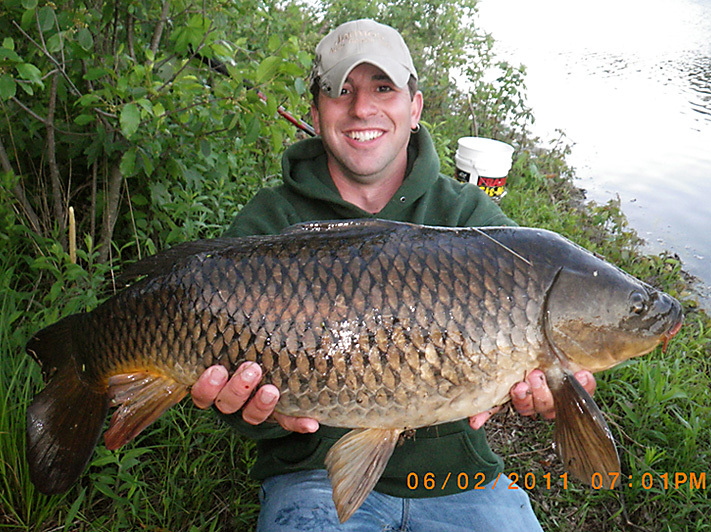 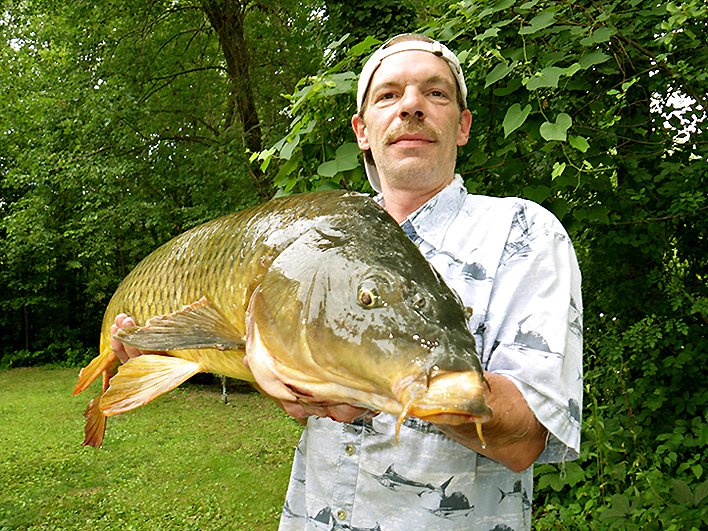 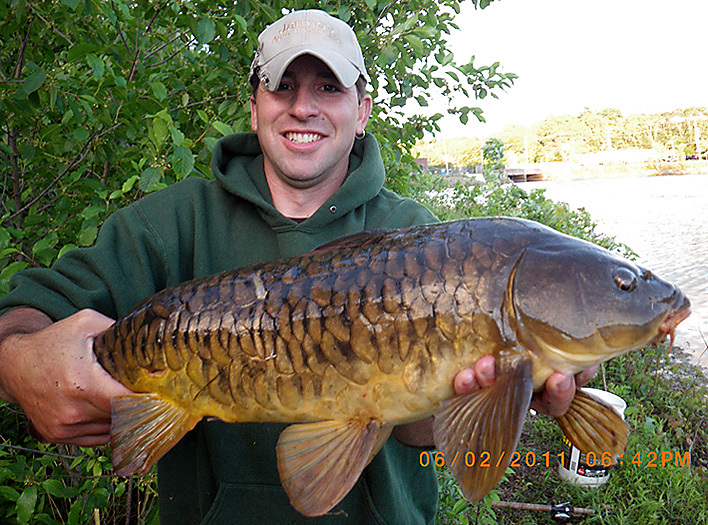 Contributor Joe with a real pig of a Carp.